Hello! Today I am sharing a card using a Rebecca Baer stencil, Steampunk Pocket watch /small, it is a perfect match for this card that I created. 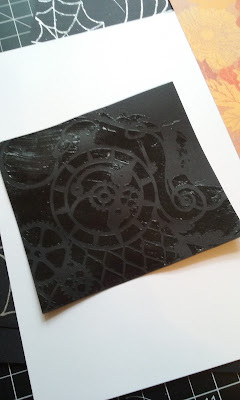 Place the stencil over the black card stock and secure with mini masking tape to prevent shifting. Spread RB Stencil Gel over the stencil. 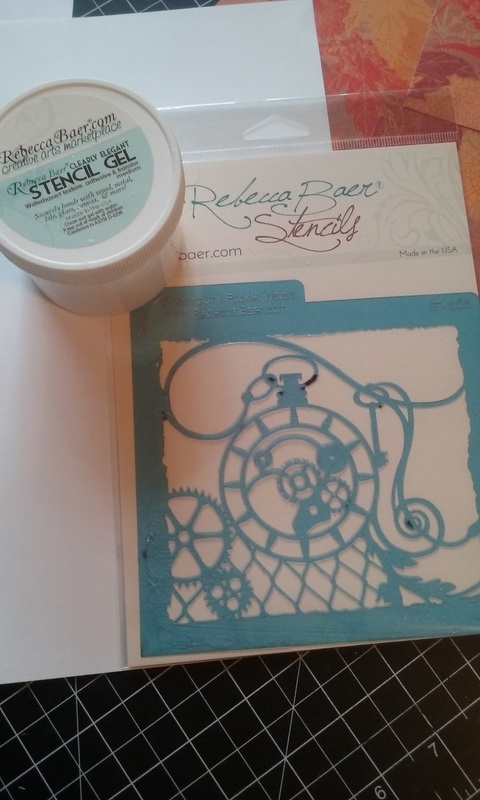 Remove the stencil and rinse to remove the gel while your card stock is drying. The gel will turn clear. In the image below you can see the results and I am now ready to add embellishments. 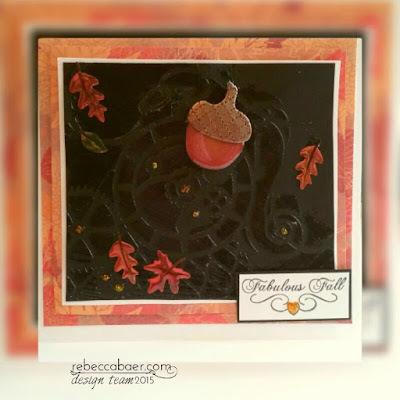 Cut white card stock slightly larger than the black to make a mat then add alayer of larger patterned paper as well. Next add a few touches of stickles glitter and the stickers. 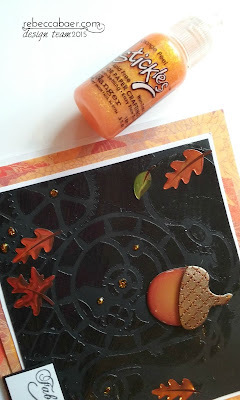 Finish with the sentiment from TCP Studio on the lower right of the card. You can also connect with Rebecca Baer on Pinterest, YouTube and Facebook!